Everyone paying attention by now has probably noticed it's “virus-scare” season. It's that time of the year when vaccine makers get to market their product to a frightened humanity hoping to be “saved” from scary viruses and diseases while they save themselves from massive profit losses. Consider that without these virus-scare seasons it's very likely the vaccine industry would be increasingly ignored by the general public as the masses slowly become more educated about natural health cures and nutritional habits to keep your body and immune system strong. Without these virus and disease scares which mark the money-making time of the year for the vaccine industry, they would likely be looking at significant profit losses for the overall year. Don't forget this is an industry that like any other industry relies on money and profit to survive. Therefore, realize first that the winter season is to the vaccine industry what Christmas season is to the department stores. It's a make-or-break time of the year. And just as with the 2014 Ebola scare they put together for the general public, once again they are making sure these virus scaremongering stories take a back seat to no other stories, and that they pile on one after another to bombard you with this scare. Can anyone remember ISIS doing anything that was news worthy during the Ebola scare of 2014? Back then even ISIS seemed to stop their activities to make sure Ebola made headline news for a season and only Ebola. The same is with the current virus boogeyman psyop that the general public is being played with. And instead of mass shooting staged events or a big 'ISIS is now in space' story we're being told to think “virus” and be afraid. So no one should be surprised that right before the weekend begins we're being hit with yet another wave of the virus-scare psyop. This time it's the Norovirus (formerly known as the Norwalk virus) another self-limited, no-big-deal virus that causes gastrointestinal issues before it clears. Nevertheless in perfect timing and on cue with the current Zika virus psyop the latest virus scare involves 150 people who all contracted Norovirus on a 'Diamond Princess' cruise ship in Australia. The important thing to note is the timing of the story and the fact that it is being put out as headline news. All critical thinkers should consider the possibilities that this event may have been engineered if for no other reason, the timing of it. To further demonstrate how the media times their stories, in another story story put out in just the last 24-48 hours the media is reporting that at the University of Kansas Marillac hospital 10 people have been diagnosed with suspect Norovirus and that therefore they are to treat everyone with a “rash of illness” as if they have Norovirus. The mass media virus-scare timing doesn't end there though. In yet another story just released, we're being told that up to 50 students and staff at the Boston Public School system may be sick with the Norovirus. There are two possibilities at play here to explain all of this and perhaps the truth involves both possibilities. One is that these are all engineered stories where the viruses are being purposely released to create the scares. 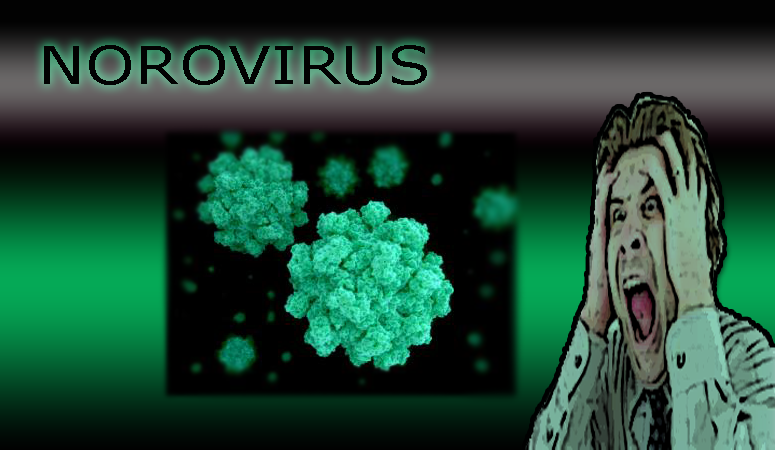 The other is that these viruses like Norovirus are simply doing what they've always done. Like most viruses (including Measles), Norovirus is a self-limited disease that humans will usually recover from and thus warrants no mass media hoopla. In this case what we are looking at is mainstream media deliberately making a story out of something not very unusual just to endorse the Zika virus engineered scare and whatever ultimate agenda is behind this. Either way, get used to it and reconcile that it's virus-scare season because they say it is. Brace for more virus-scare stories and updates from the very same mainstream media who is working with the vaccine industry, Agenda 21, the depopulation agenda and the new global order that is slowly trying to rise. Rest assured the brand new Norovirus scare will be used to sell the Zika virus stories, and to sell you a vaccine if not to force you into taking your new vaccine. More than ever it is time for all Americans and people around the world to study how the immune system works and how vaccines theoretically work. It's time to hold biotech companies for their wild and illegal experimentations which often amount to crimes against humanity. It is also time to research and demand disclosure from every doctor, every nurse and every health center, so that they reveal every single component found in the vaccines they claim you and your child need to take. Let's force them to put hug posters on the wall with each component on it. Without full disclosure of each vaccine component and without your full approval of those components, all of this is simply medical tyranny. Ultimately, this is all about exposing medical tyranny and upholding the freedom to choose what goes into your body and the body of your child. Everything else is propaganda and marketing efforts to scare you into taking their vaccines. Will you give in to their mass media advertising and scaremongering tactics or will you think on your own and do your own research? Whose body is it anyway? Does it matter? Will you blindly do as you are told by a system that thinks your existence on this planet is the problem and depopulation is the solution?